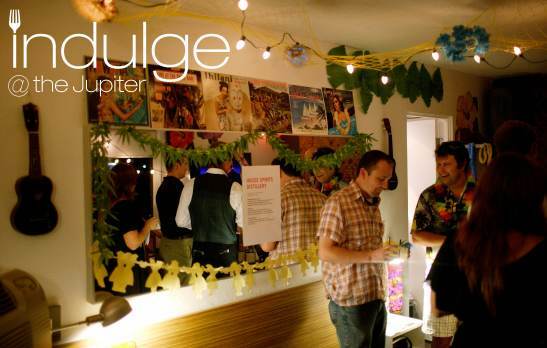 A mere 0.4 miles from the second location of the legendary Voodoo Doughnuts in Portland, Oregon, a la Bacon Maple Bar and Meditrina wine pairing fame, you'll find the Jupiter Hotel: the site of Indulge @ the Jupiter tomorrow night. That, my friends, is what I will be doing tomorrow at Portland's Premiere Eastside Dining and Spirits Festival, Indulge @ the Jupiter. An opportunity to savor, sip and nibble on the Eastside’s finest foods, it's not too late to join me at the second annual neighborhood festival of culinary arts taking over the Jupiter from 6 to 9 PM. This is one you definitely won't want to miss. Tickets are $40, available online, and I suggest you go to the site now and sign up. Right now. What are you waiting for? Why are you still reading this? A chance to hang out with Josh Gana from The Oregon Wine Blog, have some awesome food and drink? Who wouldn't pay $40 for that. If you're a fool and don't come, never fear, I'll bring you breaking news coverage days after the event, and you can be sure I'm walking to Voodoo at some point and getting some donuts.